The world’s young people – who make up the largest generation of youth in history – can lead a global drive to break the patterns of the past and set the world on course to a more sustainable future, United Nations Secretary-General Ban Ki-moon said youth, with their creativity and idealism are the key to delivering the goals of the new UN sustainability agenda. He said that youth can deliver solutions on such issues, which lie at the heart of the 2030 Agenda for Sustainable Development, stressing that in the first year of that 15-year plan for a healthier, safer and more just future, the International community is counting on the active engagement of young people to transform the production and consumption of goods and services so they meet the basic needs and aspirations of the world’s poorest people without overburdening already strained ecosystems. “Young people are traditionally at the cutting edge, and today’s youth have more information than any previous generation. 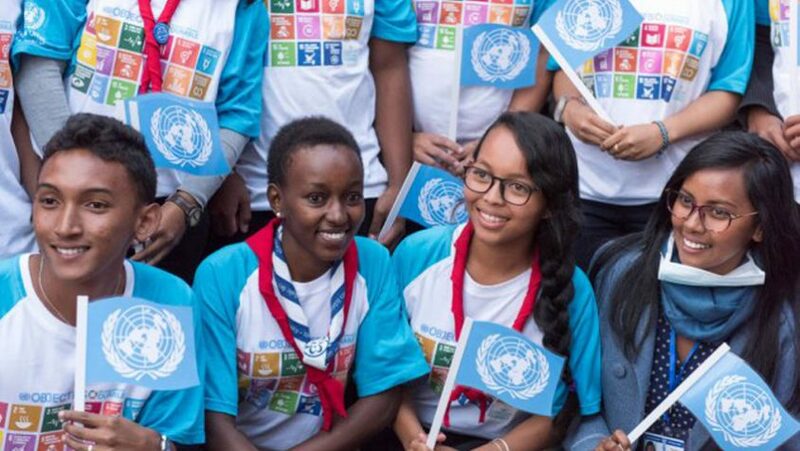 Their dynamism, creativity and idealism can combine to shape attitudes toward demand and help create more sustainable industries,” continued the UN chief, noting that youth are already influencing how the world produces, distributes and consumes while driving green entrepreneurship by designing sustainable products and services.